Providing high quality building, maintenance and decorating services in the london area at a reasonable price. A professional, reliable and competent company. All our work is fully insured and guaranteed. 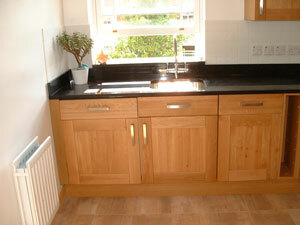 All aspects of plumbing, carpentry, decorating, electrical, refurbishment and building services carried out. No job too big or too small. Perhaps you need a new kitchen or bathroom, a loft conversion or an extension built. We would be happy to provide a quote with absolutely no obligation. Feel free to browse our web site using the links at the top of the page. We look forward to working for you. Shoreditch, St Mary's Cray, Moorgate, Belgravia, St Paul's Cray, Bloomsbury, Soho, Clerkenwell, Gray's Inn, West End, Barbican, Holborn, Monument, Tower Hill, St. Paul's, Covent Garden. Kentish Town, Archway, Highbury, Enfield, Epping Forest, Barnet, Barnsbury, Canonbury, Lower Edmonton, Crouch End, Fortis Green, East Barnet, Seven Sisters, Southgate, East Finchley, New Southgate, Hendon, Finchley Central, Finsbury Park, Finsbury, Holloway, Hornsey, Upper Edmonton, Islington, Manor House, Muswell Hill, Pinner, Stoke Newington, New Barnet, Tottenham, Woodford Green, Tufnell Park, North Finchley, Palmers Green, Friern Barnet, Hampstead Garden Suburb, Highgate, Woodside Park, Pinner Green, Cockfosters, Ponders End, Enfield Park, Potters Bar, Alexandra Palace, Totteridge, Winchmore Hill, Whetstone. North Woolwich, Dagenham, Plaistow, Isle of Dogs, Woodford, Aldgate, Becontree, Stepney, Bethnal Green, Highams Park, Bexley, Poplar, East End, Clapton, Dalston, East Ham, Forest Gate, Bromley-by-Bow, Millwall, Buckhurst Hill, Hainault, Stratford, Homerton, Upper Wandsworth, Leytonstone, Manor Park, Canning Town, Chigwell, Barking, Redbridge, Bow, South Woodford, Bromley, Grange Hill, Hackney, Stamford Hill, Upton Park, Walthamstow, Leyton, West Ham, Chingford, Whitechapel, Woodford Green.